When you're using a dating app you want to be able to feel safe. You might have your location available, but that's only to find people near you and some people don't even want users to see how much distance there is between you. For some users on gay dating apps, this is even more important if they live in an area or a country where they could be at risk because of their sexuality. A study by a group of researchers at Kyoto University has found that even users who put security measures in place on Grindr, Hornet, and Jack'd can easily be tracked down to within a few feet of their actual location. 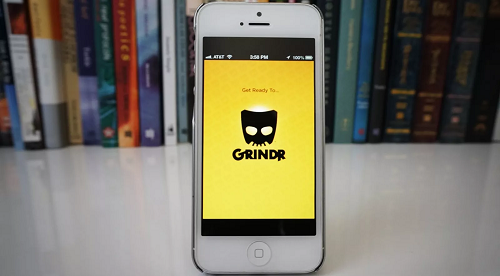 Dating apps, especially Grindr, are already known to be pretty risky when it comes to security. Back in 2014, it was reported how easy it was to track users down using a technique known as trilateration. This meant that users locations could easily be narrowed down by using the distance data. It was then that the apps made it possible to hide how far from you that they are. However, this can easily be emulated still by using GPS spoofing apps which are more commonly found for Android. By using these apps, a user can make spoofing accounts that will allow them to track a user's location down in a similar way to how they used to. This is far too easily done and the Kyoto researchers pointed it out to try to protect LGBT people in countries where they could be persecuted or attacked for their sexuality. There may be similar issues with apps like Tinder, but the way they handle data mean it's safer at the moment. However, it is still possible that someone could track you down. There aren't very many suggestions that the researchers can make to fix this. The companies could obscure user location data even more, but that could make the app less useful resulting in a loss of users. Another suggestion is that users do not share pictures of their faces so they cannot be recognised. This isn't saying share intimate photos because, well, not everyone will appreciate that, but it's just a suggestion. The other issue could be that people might not be certain you're real as they cannot see your face. The only other suggestion is to only run Grindr on Android or jailbroken iPhone devices with GPS spoofing software so you can hide your real location. This research was necessary, but the results are terrifying and it seems like using dating apps might still be putting some people at risk.